There is a gang of female bank robbers headquartered in Austin and making raids as far away as Goldfield. They don’t actually rob banks, but they play the part to the hilt, in full Victorian regalia and sometimes with horse pistols tucked into their reticules. They give Austin’s ghostly Main Street a resonance it has not felt in years. 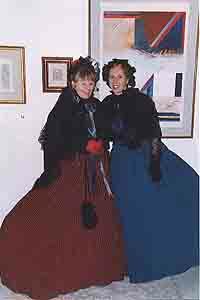 Two participants in the Austin New Years Celebration, modeling their Victorian haute couteur. Despite everyone’s best efforts it had been dying for a very long time. They are investing the sad old city with a wonderful new energy. Lately this gang has turned its energies to creating a Victorian New Year Celebration in Austin. On the last day of 2003 there’s to be an afternoon Brandy & Smoker for men and a Tea & Social for women, followed by a grand Gala Dinner and Ball with everyone decked out in their late 19th century finery. Here’s an article about it from the Las Vegas SUN. It’s thrilling to see the old city flowering again. The gala New Year’s Ball will be a delightful spectacle, and it may be a whole new day a-dawning for Austin. 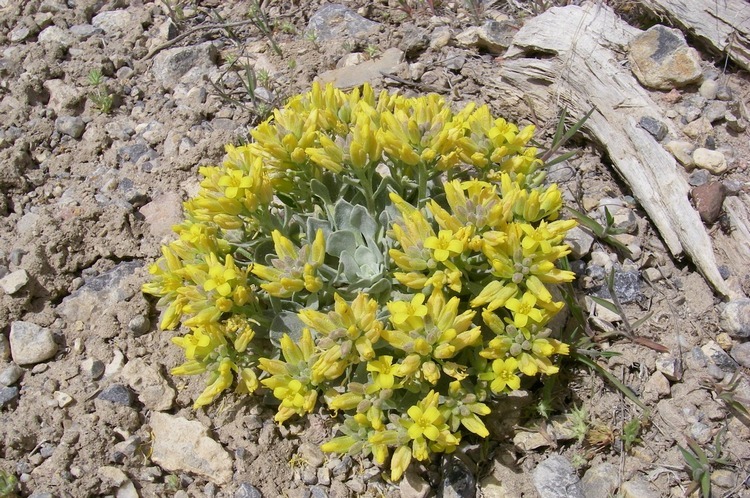 For information e-mail Jan Morrison or call her at 775-964-1100. True West magazine, is now a candidate for selection as an American Dream Town. Three communities are nominated from each state, votes are collected online, and the winner is the one with the highest vote total at the chime of midnight 12/31/03. You can cast a vote here.The other Nevada candidates are Virginia City and Henderson. As a resident of Gold Hill, I can tell you Virginia City is a nice place to visit, but . . . and Henderson’s many virtues are much more apparent in the real world than in dreams. My nominations for Nevada Dream Towns: Baker, Eureka, Yerington, Belmont, Boulder City and Black Rock City, pick any three — wait, Black Rock City is a dream. 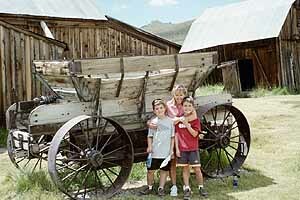 Mom, Connor and Davis visited the preserved town of Berlin at Berlin-Ichthyosaur State Park.